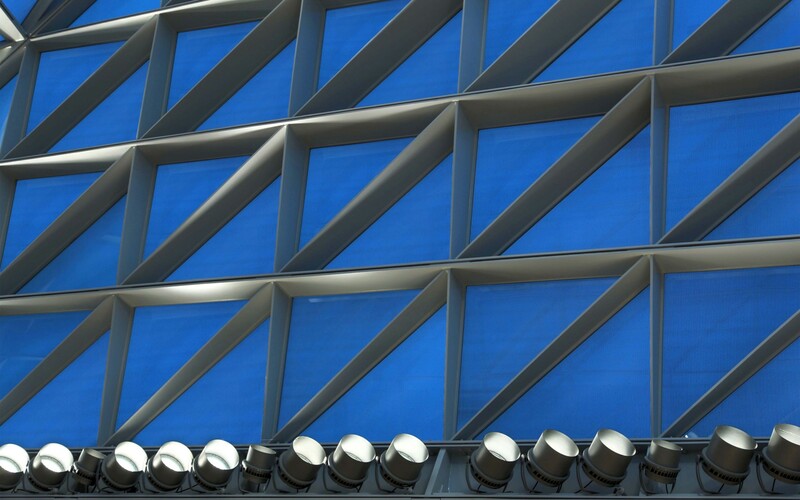 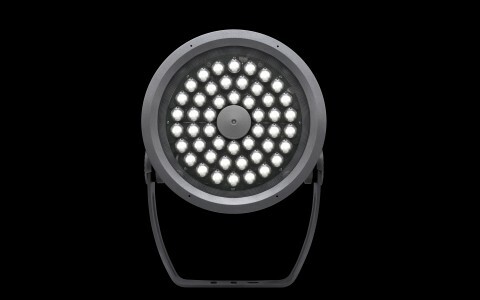 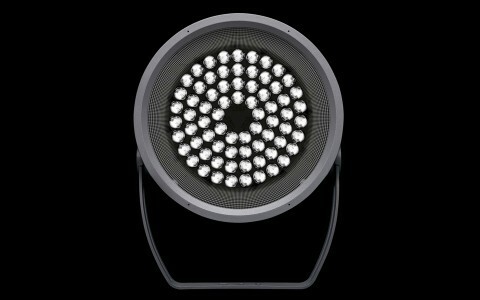 Lumentalk-enabled Lumenbeam fixtures bring starlight to earth in this award winning lighting design. 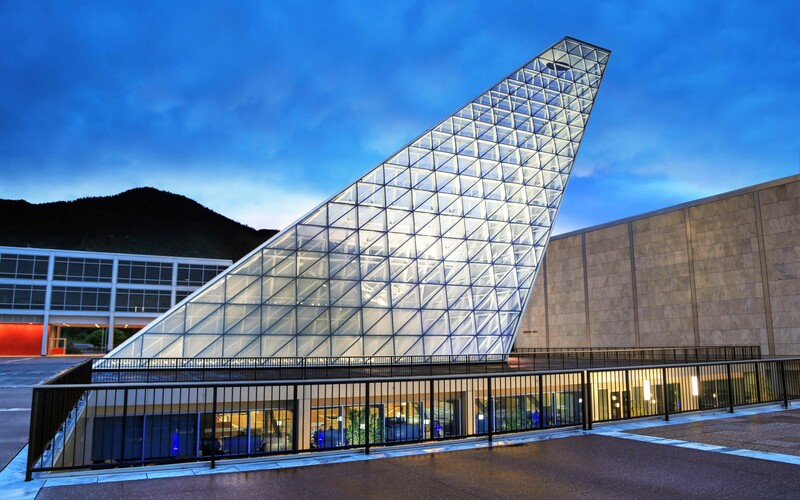 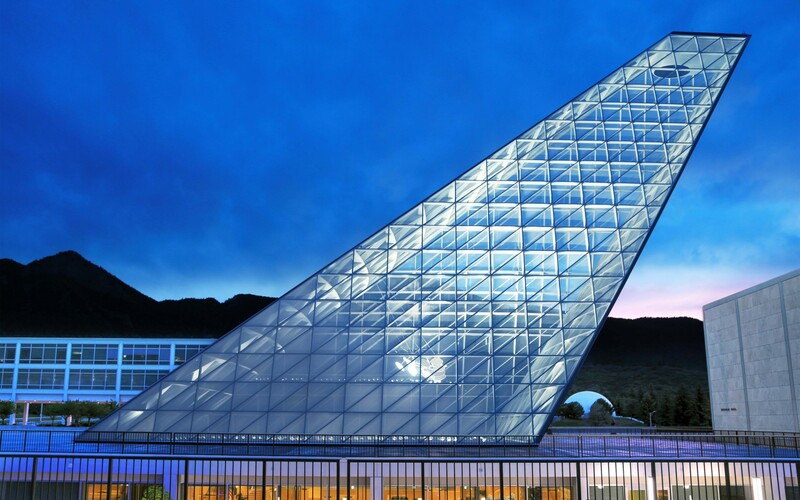 The United States Air Force Academy's Center for Character and Leadership Development (CCLD) is an astonishing sight with its dramatic 105-foot skylight. 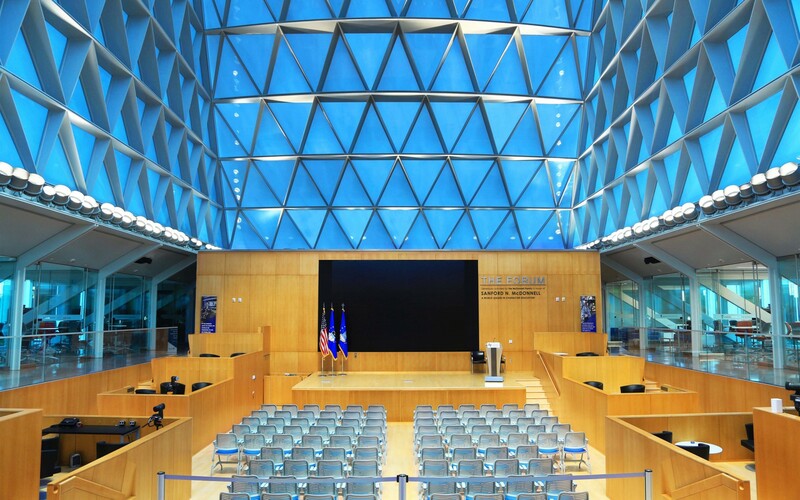 The Academy's mission's to integrate guiding moral principles into all aspects of the Cadet experience is put forth in this think tank for leadership and character development. 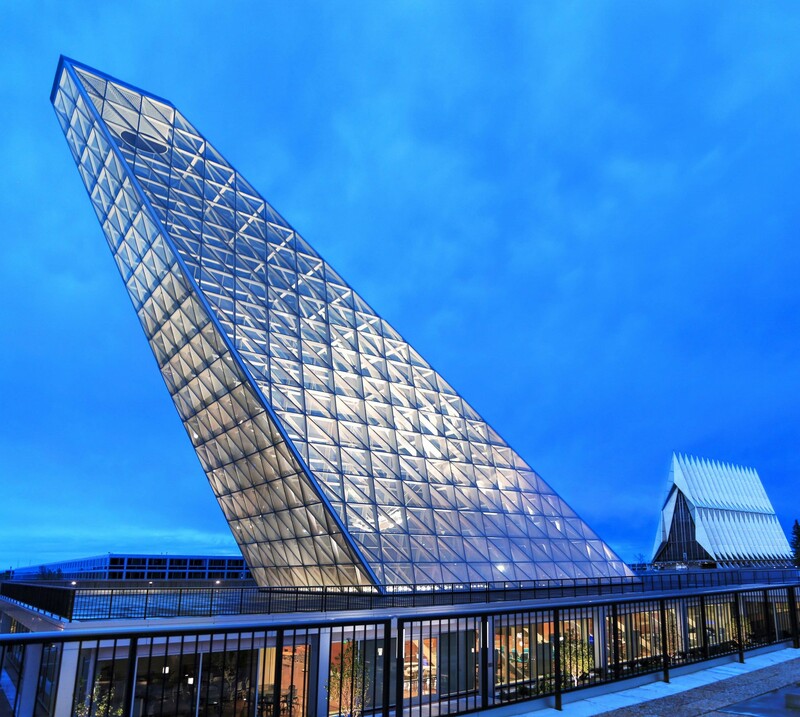 Architects, Skidmore, Owings and Merrill (SOM), have designed a meaningful architectural interpretation of the Academy's aspirations through the projecting skylight's pinnacle, which acts as an oculus directly situated on Polaris, or the North Star, a symbol of the institution's moral code and a familiar beacon in the night sky. 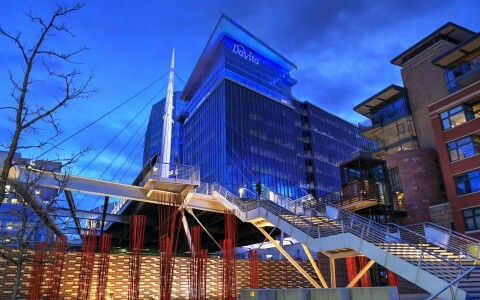 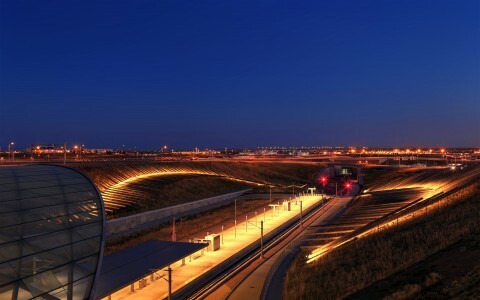 The award-winning lighting design by Brandston Partnerships Inc., is one that is symbiotic with the architecture. 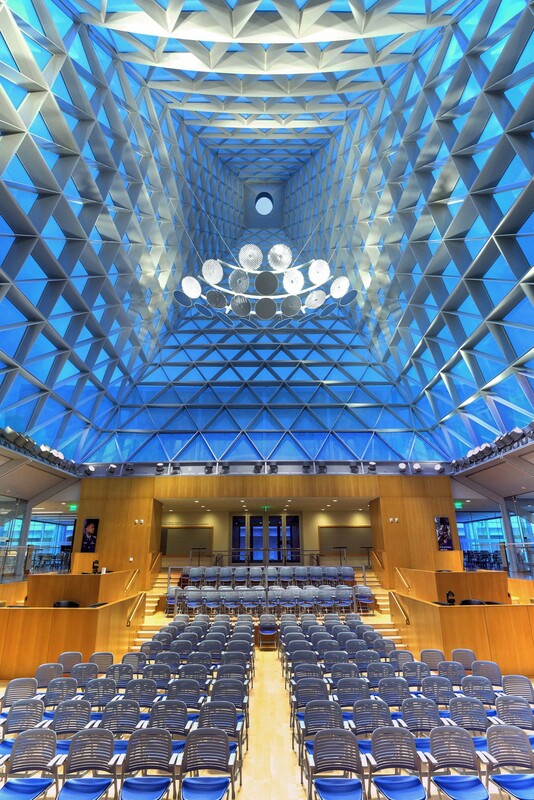 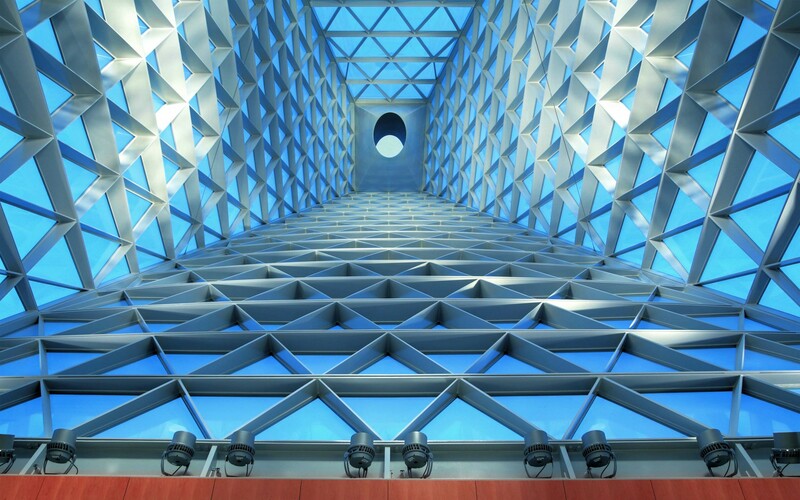 At night, Lumentalk-enabled and DMX-controlled Lumenbeam fixtures, which ring the skylight's base, uplight the structure and reflect light off an array of suspended mirrors to provide lighting for the main gathering space below. 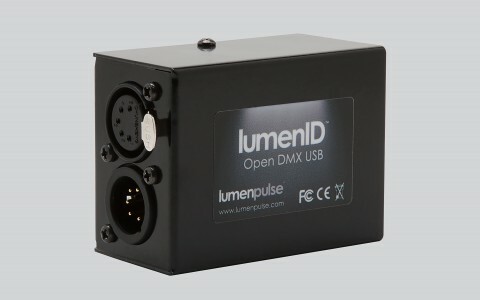 Lumenpulse's patented Lumentalk technology converts control data so it can be sent over AC wiring, enabling full-control capabilities without the need for data wiring. 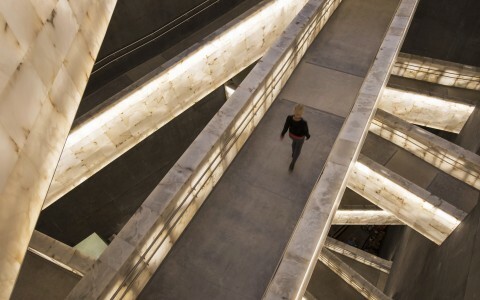 This was of great use when installing the luminaires around the skylight as it cut down substantially on the cost of installing data cables while also keeping cables to a minimum. 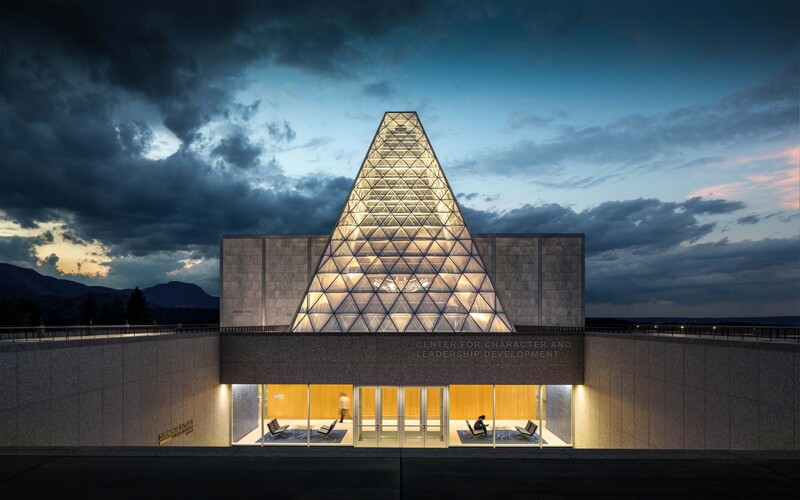 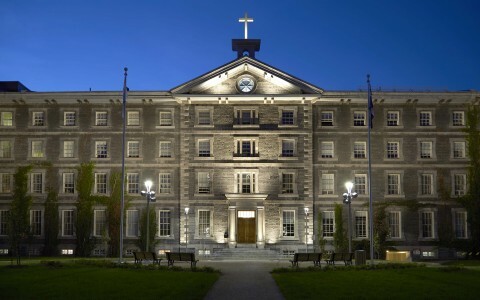 Each night, the skylight acts as a guiding light, a moral reminder within the campus itself; the iridescence of the skylight glows as if it were gathering the North Star's light within the Center to guide and teach all those inside.